The United States Patent & Trademark Office ("USPTO") will not grant a patent on an invention that is already known or otherwise already in the public domain. At Hanrahan Law Firm, a Registered Patent Attorney will conduct a patent search of previously issued U.S. patents and U.S. published patent applications that may impact your ability to obtain patent protecton for your invention. The search results can, in most cases, assist us in evaluating whether patent protection may be available for your invention prior to filing a patent application. To order the Flat Fee Patent Search, simply contact Registered Patent Attorney Benjamin M. Hanrahan and he will personally return your message. All communications, including invention disclosures, with attorney Benjamin M. Hanarahan and Hanrahan Law Firm, P.A. are strictly confidential. For your convenience, Hanrahan Law Firm, P.A. accepts all major credit cards. I understand that no attorney-client relationship is created by virtue of submitting information to Hanrahan Law Firm, P.A. via this Contact Form and that an attorney-client relationship will not exist unless and until an Engagement Letter is signed with the firm. Hanrahan Law Firm, P.A. is a law firm located in Miami, Florida that provides patent and other intellectual property services throughout the United States. Halloween is one of the more creative holidays, with interesting new costumes, decorations and novelty items being invented each year. Here is a short list of some Halloween patents that we found to be fun and interesting . . . The first step in the patent application process is almost always a patentability search . . . 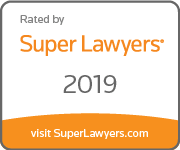 Copyright © 2019 Hanrahan Law Firm, P.A. All rights reserved.